THE Woking College Theatre Company kept up its tradition of high-calibre performances with multiple wins at drama festivals across the country. Hitting the road over the course of the academic year, students performed Poet Laureate Carol Ann Duffy’s Everyman, which is a contemporary version of the 15th-century morality play, to a number of appreciative audiences. 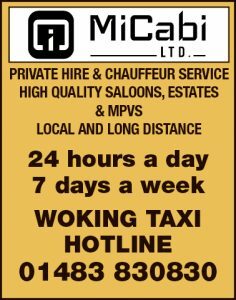 The company began with wins at the Maidenhead Drama Festival, scooping the Overall Winners and Best Under-21 Cast accolades. They then added to their haul with six more prizes at the prestigious Elmbridge Festival. 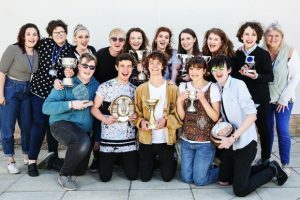 Gongs included Overall Winners, Best Under-21 Cast and Technical Excellence, as well as Best Directors Claire Nevers and Gina Marshall, and Best Youth Actor and Best Overall Actor prizes for Reece Webster. with Reece receiving the Adjudicators’ Award for outstanding performance.